Getting new singers and musicians is an on-going activity for most church music directors. In smaller congregations, where there is not a dedicated music director, this may be done on an ad-hoc basis when it is needed. But in larger churches, there is generally a "choir season" and a recruitment campaign at the start of each season. This is a template and process for planning that recruitment campaign. Most music directors report that personal connection and invitation is the most effective way of getting people involved. But in a larger church / parish, it can be difficult to meet everyone, much less work out who to invite. 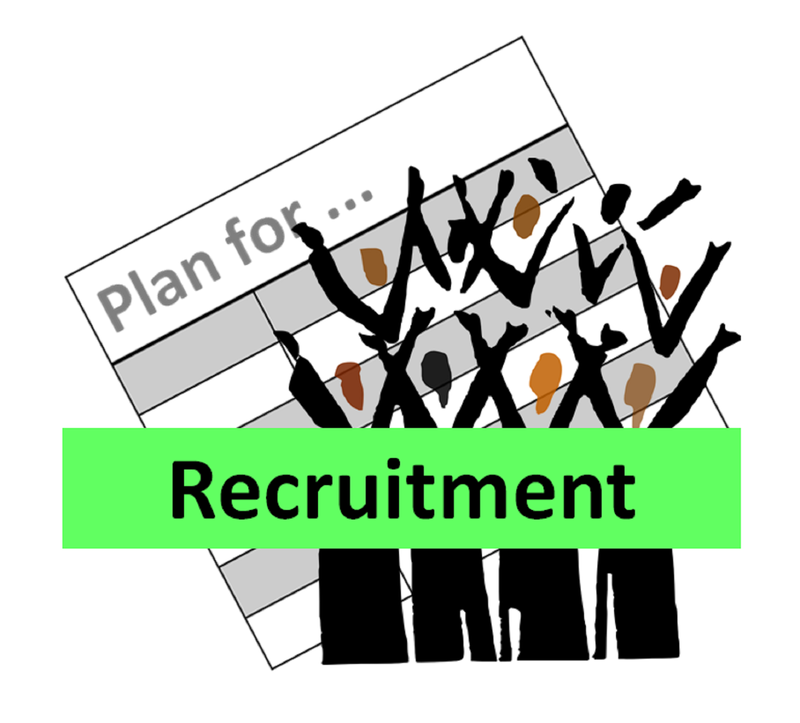 So you may need to focus on the groups which you might recruit from instead. Plan when/how to do this - and schedule time and resources for it. The following template gives a structured format for this planning. You start by making a list of groups (your "target audience") and end up with a list of actions - and so it's very clear what you need to do and when. You might want to work through several drafts of the plan, until you end up with a list of actions which is realistic given the time you have available. This is a template that you can use to plan and track recruitment activities. Target group - eg primary school children, the recently retired, ethnic communities, college students, etc. Planning how you could contact the people in your target group, to let them know about the opportunity and what it holds for them. Who will do this, and when. Actions and Progress - steps you need to follow to make this happen. This is not the process to follow if your church needs to recruit a music leader: director of music, choir director, worship leader etc. For that, you should use the process you follow for recruiting other staff members of key volunteers - which often involves advertising a job in the media and other places. Below is an example of how the checklist was used in one parish.